Courtesy of English Realty, Tony English. HUGE PRICE REDUCTION…Completely Remodeled, almost $200K spent with granite counters, wood floors, crown molding, designer chandeliers, new windows, pavers, outdoor kitchen, fire pit, home theater, tons of storage and recessed lighting. This is a popular floor plan called the Amhurst with a main-floor bedroom and three more bedrooms upstairs. There are two walk in closets, dual sinks, vaulted ceilings, dual ovens, gas cook-top and so much more… The home has an amazing view of the city lights and a beautiful pool. This home is located in the exclusive Moulton Ranch neighborhood with it’s own private 8 acre park and close to everything including shopping, restaurants, airports, beaches and blue ribbon schools with low tax rates and a low HOA. This home is a rare find, don’t miss it before it sells. Please, send me more information on this property: MLS# OC18213176 – $1,175,000 – 27096 Ironwood Drive, Laguna Hills, CA 92653. 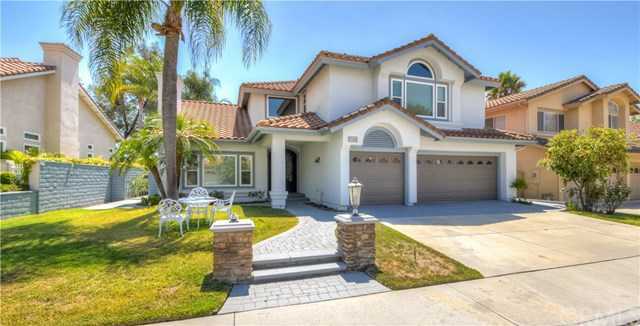 I would like to schedule a showing appointment for this property: MLS# OC18213176 – $1,175,000 – 27096 Ironwood Drive, Laguna Hills, CA 92653.